PS3 version of Assassin's Creed 2 was almost an "afterthought," says one of the game's developers. Ubisoft Montreal's Philipe Bergeron says that PS3 owners got short-changed on Assassins' Creed 2 with an inferior version of the game, and that Ubisoft is determined not to let them down again with Assassin's Creed: Brotherhood. Bergeron, who is the level design content director for Brotherhood, said that the PS3 version of AC2 was left a little too late in the development cycle, meaning that it had to be debugged quickly, resulting in frame rate and quality issues. Bergeron said that the experience had taught Ubisoft a valuable lesson, and that with Brotherhood, the team had "attacked" the PS3 from the very start of the project, resulting in a version that actually surpassed its Xbox 360 sibling on occasion. It's good news that the PS3 is getting the attention it deserves this time around, although it's hard to shake the feeling that this isn't a lesson that Ubisoft should have needed to learn. 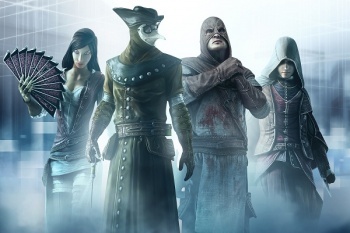 Assassin's Creed: Brotherhood will be released on Xbox 360 and PS3 on November 16th.